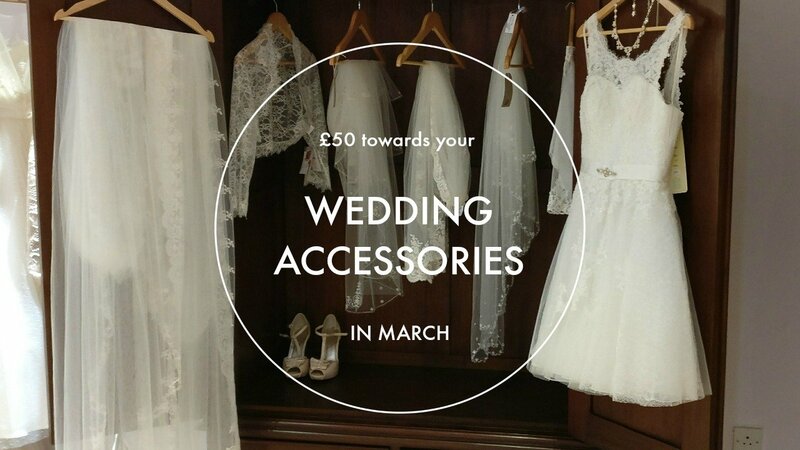 When you buy your gown in March, take £50 on us towards your veil, hair accesories or belt. Offer for new customers only. Offer ends 31st March 2018.